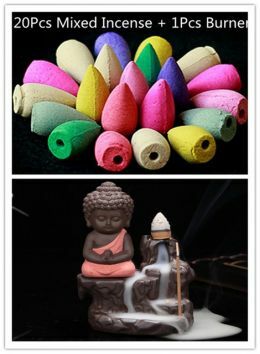 Beautiful Buddha incense burner, great decoration for your living room or bedroom. This special unique monk incense burner will make a great gift to your friends and family members. Made of high-quality ceramic, light-up the increase when you're meditating or during yoga exercise, it'll help you feel calmer and relaxes.